DSAM made a courtesy visit to the Malaysia External Trade Development Corporation (MATRADE) on 15th July 2016. 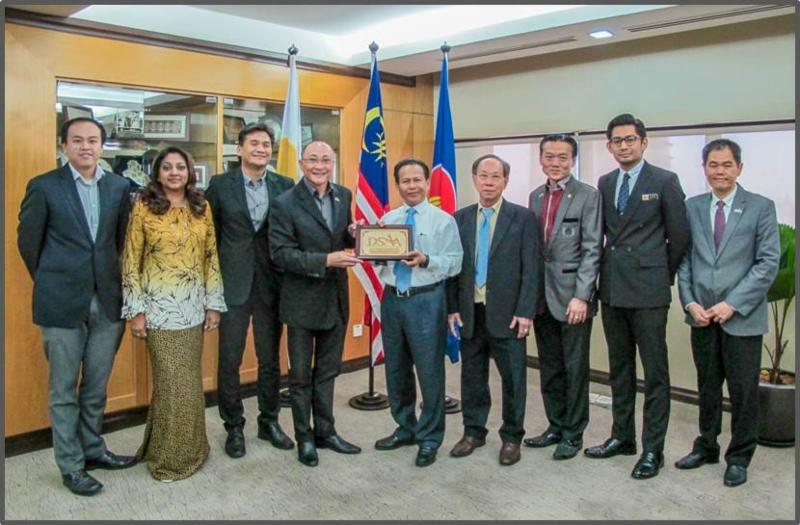 MATRADE’s CEO, Y Bhg Dato’ Dzulkifli Mahmud and his officers met with DSAM. During the visit, MATRADE was brief on the current status of Direct Selling on the local and international fronts. Dato’ Dzulkifli then extended his welcome to all DSAM Members to MATRADE offices around the world. These offices can play the role of resource centers and visiting DSAM Members are welcome to use the facilities there. MATRADE’s mission is to promote Malaysia’s exports. This has enabled many local companies to carve new frontiers in global markets. MATRADE also highlights capable Malaysian companies on the international stage, helping make the phrase ‘Made-In-Malaysia’ synonymous with excellence, reliability and trustworthiness. As a follow-up to this visit, MATRADE and DSAM will organise a briefing on the many grants, incentives and other benefits that Members can enjoy when exporting their products or setting up their businesses overseas.